I am looking at 8 more weeks of an accelerated English 1A class that will definitely take a chunk out of my writing time. I got my class started last week, terrifying the students with a syllabus that gave the usual requirements for an 18 week course of writing with its required word count,research paper skill acquirement, and critical thinking exercises beginning with readings in Machiavelli’s The Prince and Lao Tzu’s Tao Te Ching. Four students dropped the first week in a fit of horror. 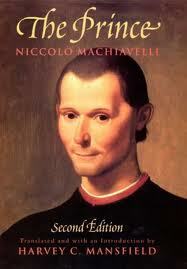 That was the Machiavellian start. I simply spelled it out. Machiavelli isn’t scary as a writer, nor was he a scary human being, but his name is associated with evil because he was pragmatic in assessing the way a prince achieves and maintains power. Machiavelli advised that a prince be both loved and feared, but if one of these qualities has to be lacking, than it is better to be feared than loved. He’s right, of course, and if he were not right, none of my students would ever learn anything. They have to fear me; I assign the grades. But when they are so scared they ruin their own learning process by not coming to class due to a paper unwritten (through lack of confidence), then I have to resort to Lao Tzu and the Tao Te Ching. Peace is the highest value for the Taoist, and peace of the soul is the only true definition for “peace” because none of us can change the world. It is already perfect. There is a reason for everything and a time for everything. That is the Taoist view. I attempted to restore peace to the souls of my students yesterday, assuring them that I would work with them, around books ordered and arriving to them late, in the second week of class–I help them with URLs and library reference desk copies–around the fears of the word count and the utter gobblety-gook they feel their first efforts amount to on paper, their lack of confidence and understanding of Machiavelli or Lao Tzu. I told them, in so many words, to let it be. We will achieve, we will overcome, and we will become better writers. A dear student-friend told me, after class, that I should not “hand” the course to them. Have I done so? They will write the same number of papers and word count as required in any 8 or 9 week course. They will be held to the same standards. I simply left the whip unseen, if it ever existed. Did it? I do not know. And I too am breathing easier. My book will get written, despite the load of papers. I will stop stressing about the class that is supposed to be hard. When I visualize it as not hard,but as a natural part of life, like sleeping or eating, it takes its natural place, and I can breathe. 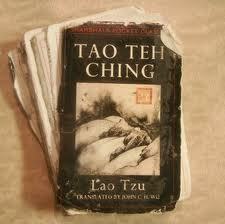 I have often wondered if Machiavelli and Lao Tzu were not, with different words, giving pretty much the same message. They were concerned with the maintenance of the state and not losing one’s footing.